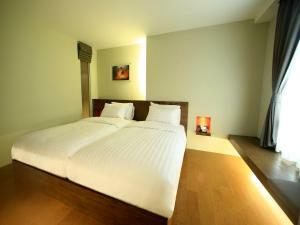 Located in one of the busiest district of Bangkok, Silom One offers a bed-and-breakfast accommodation with free WiFi access in all areas. 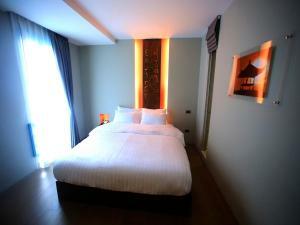 Featuring a non-smoking property, this accommodation provides free daily maid service. 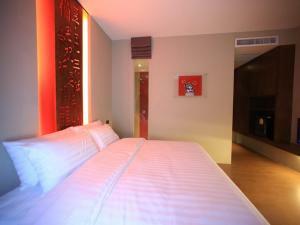 Silom One is just 300 metre from vibrant nightlife of Patpong and 5.2 km from Khao San Road. Suvarnabhumi Airport is 24 km away. 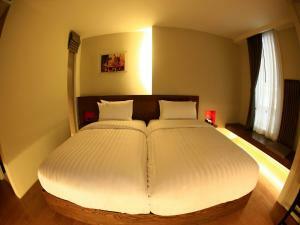 Equipped with air-conditioning and a fan, each unit at Silom One features a private bathroom. 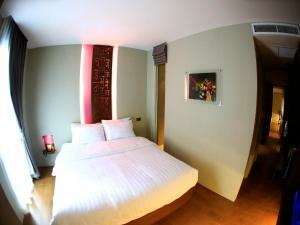 Guests enjoy a flat-screen cable/ satellite TV, a fridge and a coffee machine. 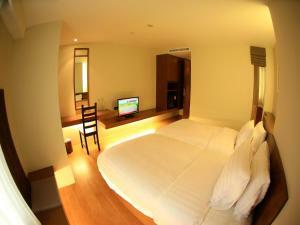 Free toiletries and a minibar are offered in room. 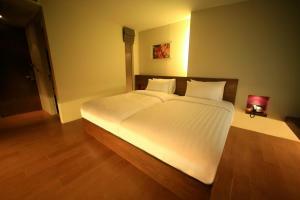 At Silom One guests will find a 24-hr front desk and a safety deposit box. 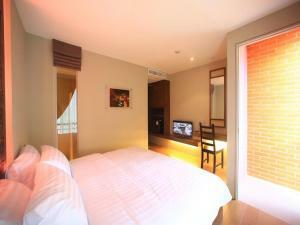 There is a laundry and ironing services offered at the property. 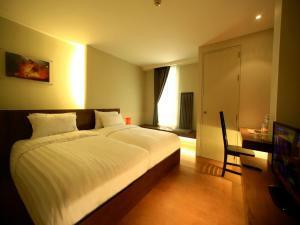 Featuring air-conditioning, this unit has a flat-screen cable/satellite TV, a coffee machine and a fridge. 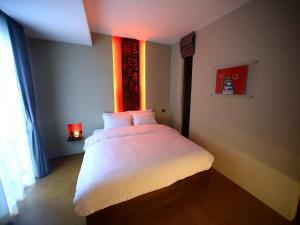 Guests enjoy a minibar and a wake-up service. 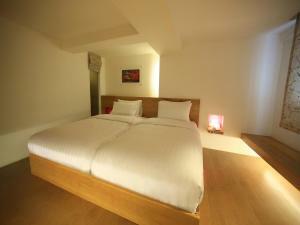 Shower facilities with free toiletries and towels are included in an en suite bathroom. 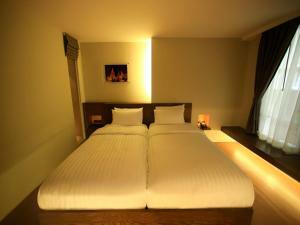 Rate: THB 2450.00; select dates below to get current rates. 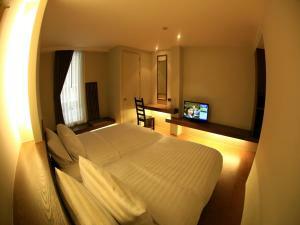 This spacious air-conditioned twin room has a minibar and a fridge. 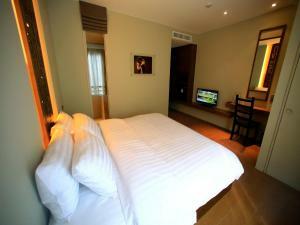 Guests enjoy a flat-screen cable/satellite TV and a coffee machine. A private bathroom is equipped with shower facilities, free toiletries and towels. A wake-up service is available in this unit. 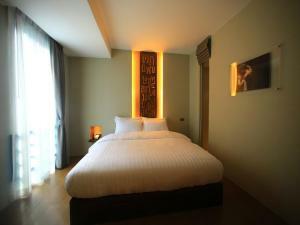 Rate: THB 2100.00 ... THB 2450.00; select dates below to get current rates. 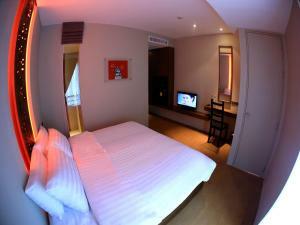 This double room features a flat-screen cable/ satellite TV, a coffee machine and a fridge. 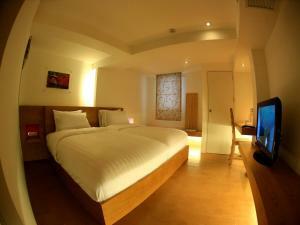 An en suite bathroom comes with shower facilities, free toiletries and towels. A wake-up service is offered in this unit.